Add oats to blender and blend dry, then add the banana, raspberries, yogurt and coconut milk. Blend until smooth. Chill before serving or mix in crushed ice. 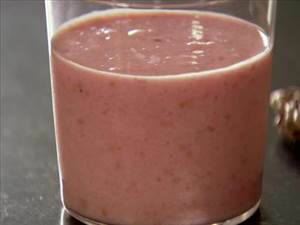 There are 164 calories in 1 serving of Banana & Raspberry Smoothie. Calorie Breakdown: 51% fat, 39% carbs, 10% prot.